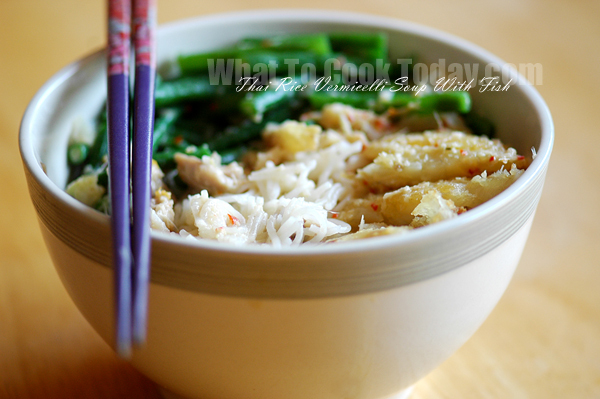 If you are not familiar with Asian culture, you may find that it’s very odd to be eating rice or noodles for breakfast early in the morning. While I can’t say all Asians do that (some skip breakfast. I’m definitely not one of them lol! 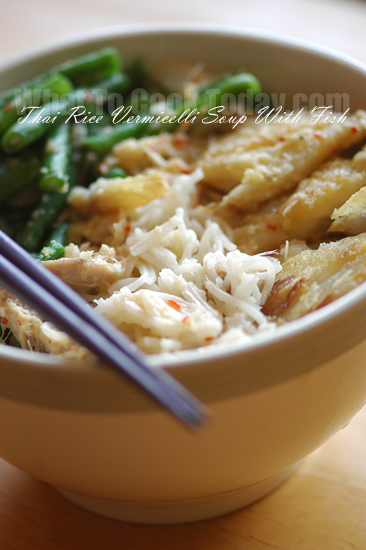 ), however, rice and noodles always find ways to the tables in the morning, noon and night. Just like how cereals and toasts in Americans’ breakfast menu. The Thais eat rice vermicelli for breakfast. Surprised I’m not. 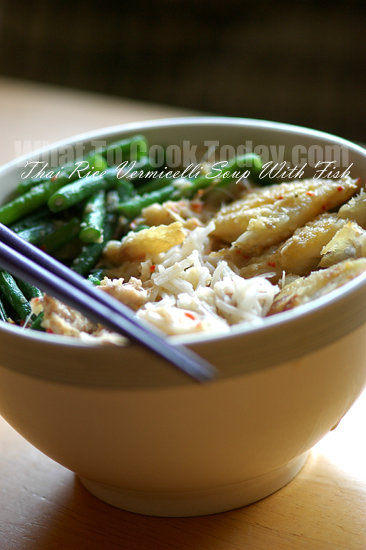 If you don’t think you can stomach a rice vermicelli soup with fish early in the morning, don’t worry, you can always make this for lunch or dinner.The noodles are seasoned with spices, and raw vegetables are placed on top. Hot steaming stock is poured over everything. This is just a perfect breakfast for me, or for anytime of the day..really!